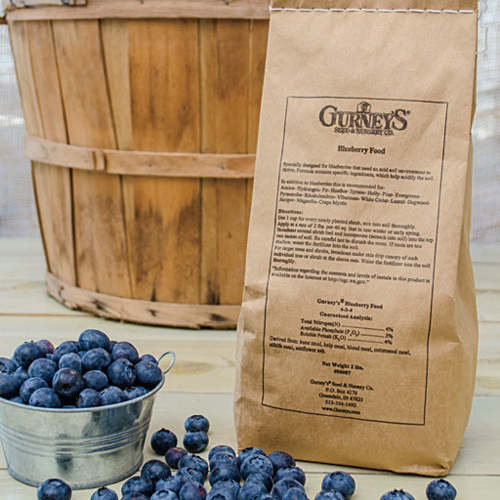 Gurney's Blueberry Food | Gurney's Seed & Nursery Co. Formulated specifically for acid-loving plants! Balanced formula made from plant and animal by-products. Enhanced with minerals and natural trace elements. Helps maintain acid pH, which blueberries need. 2-lb. pkg. treats 40 sq. ft.